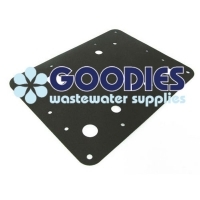 Base gaskets also referred to as tank gaskets are available for the following Rietschle Thomas, Thomas and Yasunaga linear septic air pumps and blowers LP-60A LP-70H, LP-80H, LP-80HN, LP-100A, LP-100H, LP-120A, LP-120H, LP-150H, LP-150HN, LP-200H and LP-200HN. The Techno Takatsuki Hiblow HP-150 base gasket is the same base gasket for both the Techno Takatsuki Hiblow HP-150 and the Techno Takatsuki Hiblow HP-200. Both these models are often listed without the hyphen as a Techno Takatsuki Hiblow HP150 and a Techno Takatsuki Hiblow HP200. 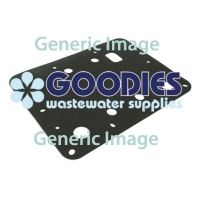 The Techno Takatsuki Hiblow HP-150 base gasket is also referred to as a gasket (base). The Techno Takatsuki / Sakuragawa Hiblow 100-GJH base gasket suits the Techno Takatsuki / Sakuragawa Hiblow 100-GJH, 120-GJH, 150-GJH and 200-GJH. These models are often listed without the hyphen as a Techno Takatsuki / Sakuragawa Hiblow 100GJH, 120GJH, 150GJH and 200GJH. The Techno Takatsuki / Sakuragawa Hiblow 100-GJH base gasket is also referred to as a gasket (base).